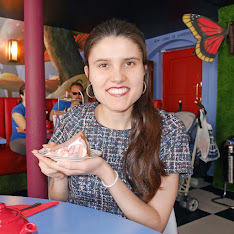 A few weeks ago, I went to the Cereal Killer Cafe on Brick Lane with my friend Leanne. 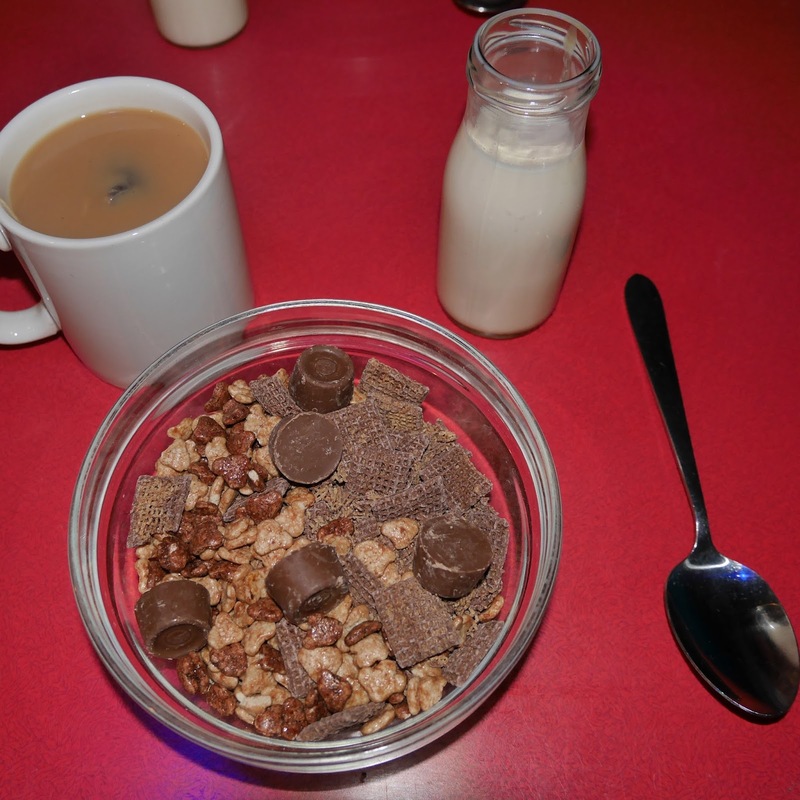 Cereal Killer Cafe is a popular London cafe that attracts tourists from all over the world. There are 3 Cereal Killer Cafes in London, others in Kuwait, Jordan and the UAE and the owners are looking to expand the brand worldwide. The cafe offers such a unique experience, that is great for people looking to have brunch in London. 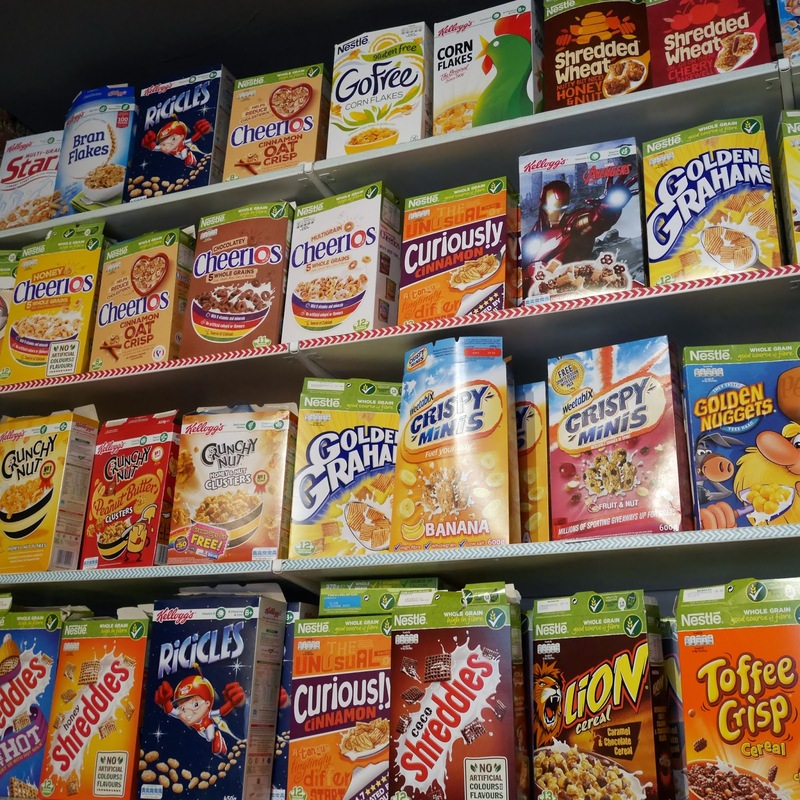 There are shelves full of different types of cereal, from all over the world. I ordered the Lion King cereal cocktail which features Lion cereal, Toffee Crisp cereal, caramel milk and rolos. With how much of a Disney fan I am, it's no surprise that I chose this cereal cocktail. There is classic, pop culture memorabilia in the café, both in the entrance area and downstairs where the majority of the tables are. 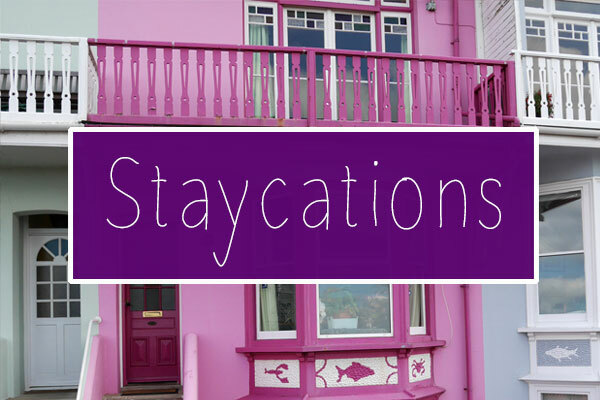 There are even old TVs and you can sit on the side of a bed, instead of a chair! Cereal Killer Cafe really has a home away from home feel! For a cup of tea and a bowl of cereal, I paid just over £5. I don't think this was badly priced at all for London. 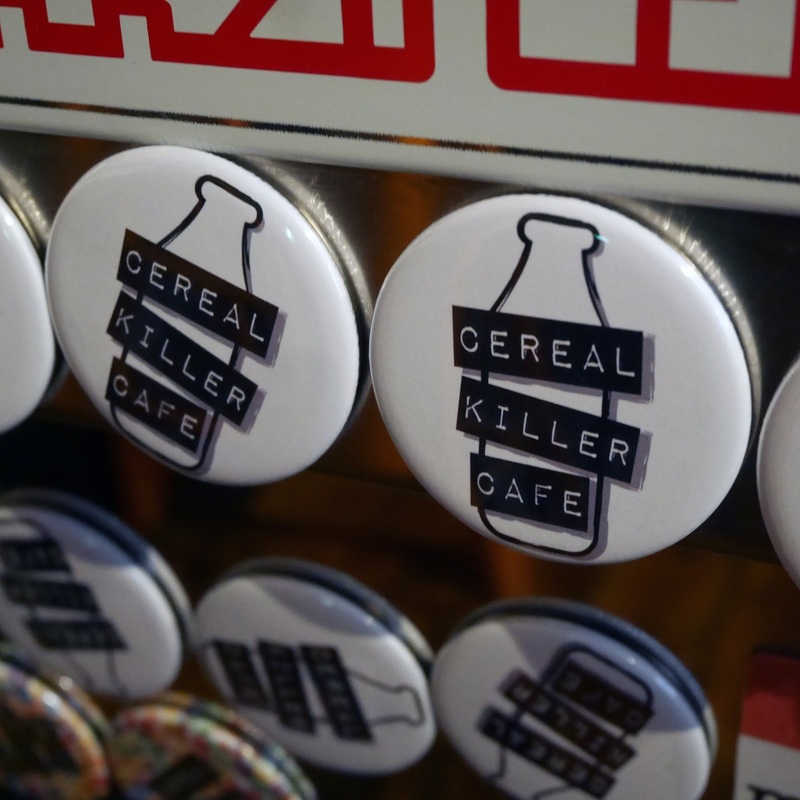 Since I last visited in 2015, Cereal Killer Cafe now has it's own merchandise, which really shows how popular the brand has become. 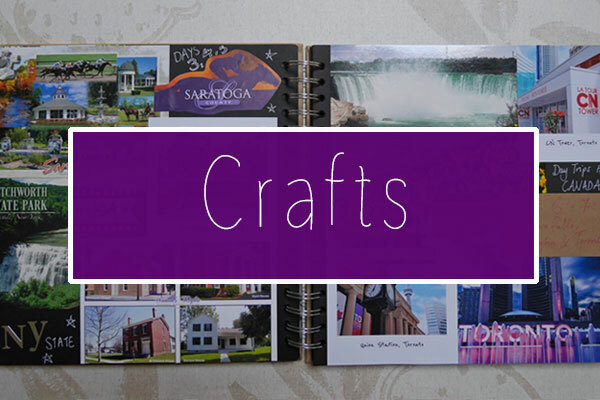 You can even purchase a cereal recipe book! 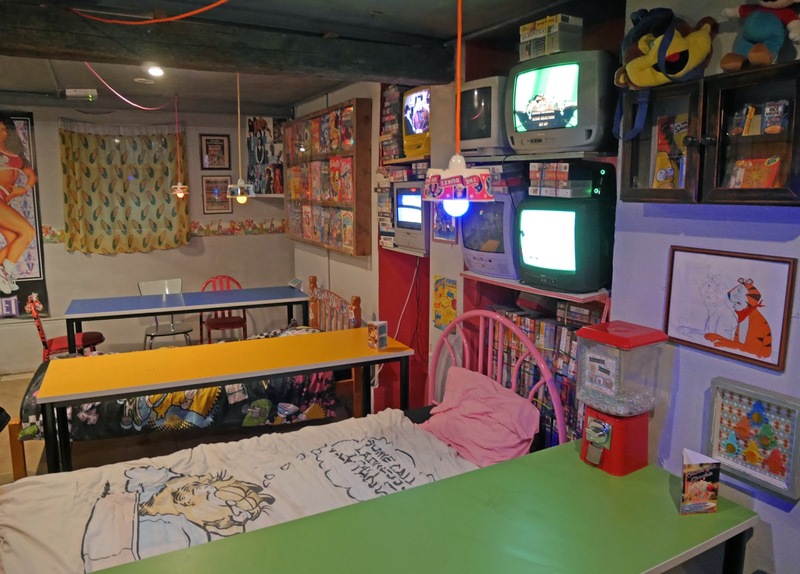 If you're in London anytime soon, definitely visit Cereal Killer Cafe. It's such a fun and authentic place to eat. I'd DEFINITELY eat here - cereal is one of my absolute favourite things to eat! Your cereal cocktail sounds amazing!